Help expand the impact of the two-year School of Leaders Program, which desires to train 100 emerging leaders in the ministry priorities of Christ. 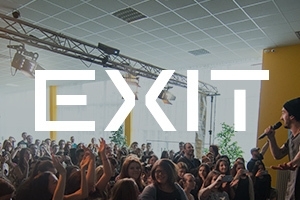 High school is a time of tough, moral choices, EXIT Tour partners with the local church and goes into schools with an American or Slovak or British rock band and national speakers to help teens learn how to avoid life-threatening mistakes and habits, with an evangelistic concert at the end of the week. 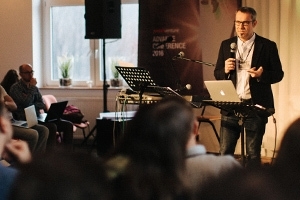 Invest in the largest Eastern European youth conference that invites over 600 Slovak youth leaders and their teams to come together to be challenged, inspired, and motivated to give themselves to the work towards reaching the Slovak youth for Christ. Nothing is better than to see how students hear and accept the gospel and then observe how the local youth group leads them to grow in a relationship with Jesus which then do the same with their friends and close people. 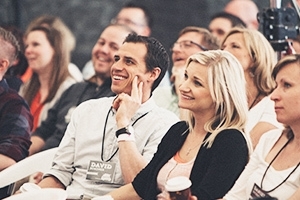 Using conversational English as the connection point, English Camps help unbelievers connect to the local church. Along with facilitating these camps, the Camps team also trains and develops young Slovak leaders to serve as interns in these camps and in their local churches back home. Your donation will help to support our Slovak interns, send Slovak students to camp, and support national leaders.